Aren't these just the most adorable little sheep? I must admit it was love at first sight when I spotted them recently on Kathy's site at Cedar Pond. 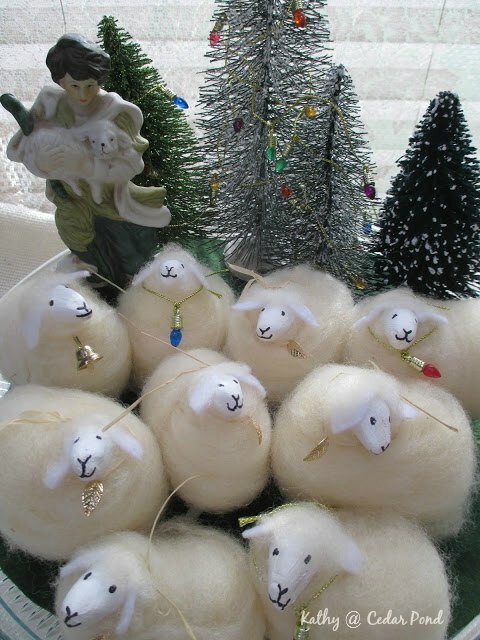 Apparently she's been hand making these wee little sheep for about 20 years now; she started making them to sell at local Christmas bazaars and now they are a part of her Christmas tradition; every year she creates 'flocks' of them for folks to purchase for their own nativity scenes. The good news is that Kathy is hosting a Wee Little Sheep Giveaway in which she's giving away two of these cute sheep. The draw closes December 20th. I'm thinking any self-respecting Nativity set needs a couple of these sweet faces looking at you and keeping an eye on the Baby Jesus, so why not hop over there and enter her draw. And, we can't have an Advent sheep theme today without sharing that beloved pastoral piece from Bach's cantata Sheep May Safely Graze -- it's a piece that never fails to move me with its restful and comforting melody. Here's wishing you a beautiful Monday. Ohh! These sheep are just so adorable! I want to have such, too! 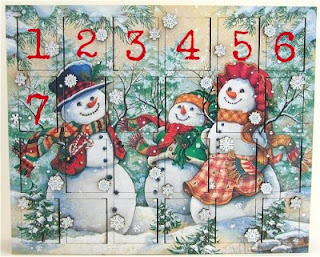 I think it is not very complicated to do them. Well, I'll definitely try. Hello Brenda. I too love these wee little sheep. Kathy posted that she had done about 2000 of them throughout the years. I have just recently found your blog. Each time I have enjoyed the lovely music. Thank you. Thank-you Brenda ! This is so kind of you. Plus, I love that piece of music. Keeping real sheep makes me all the more aware of how much the examples in the Bible of us being sheep in need of a shepherd , THE SHEPHERD , is true. Making so many little sheep gives me plenty of time to ponder that even more. Blessings, and again, thank-you ! Kathy's crafted sheep are adorable, and so are her live ones. I have two of Kathy's sheep -- I love them!! They have stayed out on my hutch all year, and now are back by our Nativity set. You have a whole flock of them -- beautiful!! Thanks for the little concert link :-) I played it before bed.